Apple automatically gives 5Gb of free storage to every iCloud account, which doesn’t seem like enough at first, but if you play it smart, you can easily get by with just those free 5 GB. This article will help you reduce your iCloud storage so you can downgrade your iCloud storage plan and stop paying for iCloud. 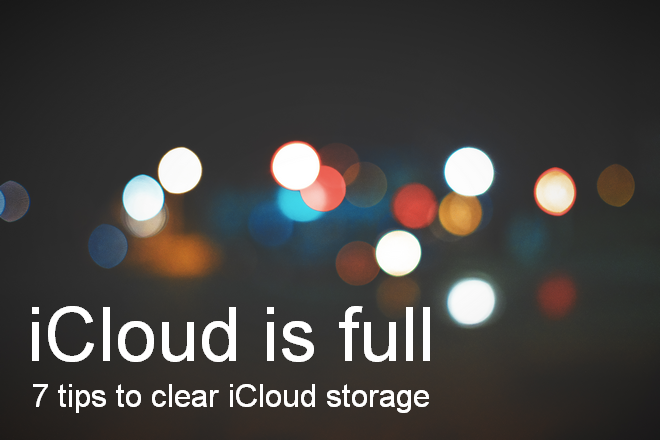 Note: Movies, apps, books, and music bought in iTunes will not count towards your iCloud storage. Photostream and the photos uploaded there don’t take any iCloud space because these images are stored locally on the device. Photos usually use up a lot of iCloud storage space. 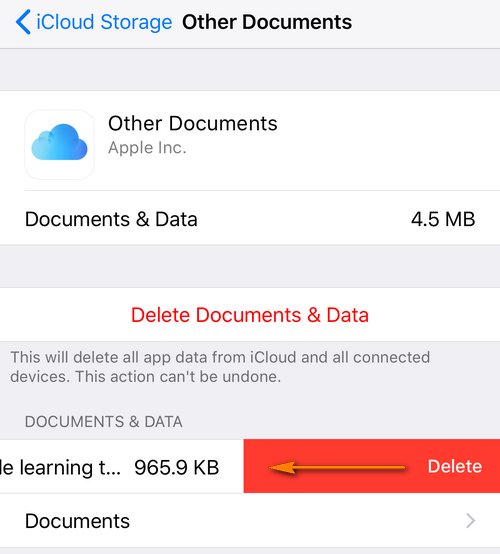 To reduce iCloud storage, you can exclude your photos from your iCloud backups, then download all the photos and videos you have in iCloud to your computer, and then delete all the photos and videos from your iCloud to free up your iCloud storage. To do this, go to Settings> Apple ID> iCloud> Manage Storage> Photos> Disable and Delete. Keep in mind that you won’t be able to restore your pictures from the iCloud backup later. You can do that in a few clicks with CopyTrans Cloudly. All the photos will be stored on your PC or external hard disk. Now erase all photos from iCloud to create even more iCloud storage space. If you don’t want the new photos to be uploaded to iCloud, you can disable your iCloud Photo Library disable your iCloud Photo Library. 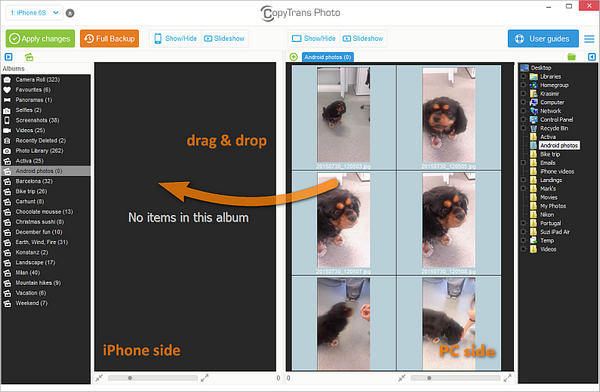 If the iCloud Photo Library is still enabled on your iPhone, your new photos will be uploaded to iCloud like before. If you want to transfer some of the images to your iPhone, use our CopyTrans Photo app to transfer these photos back to your iPhone. 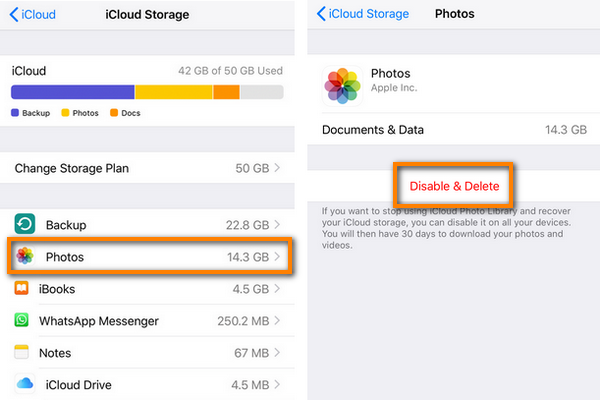 You can also delete the files you have stored in iCloud Drive to free up iCloud storage. Go to Settings> Apple ID> iCloud> Manage Storage> iCloud Drive. You will see all the files stored in iCloud Drive. Swipe left and tap on the trash icon to delete the file. To optimize iCloud storage, you can manage your documents, movies, and other data locally by transferring these files between your PC and iPhone, e.g. with CopyTrans Apps. If you use your iCloud address for your email, emails will also be backed up to your free 5GB of storage. You can delete unnecessary emails with large attachments to quickly get rid of several gigabytes in iCloud. 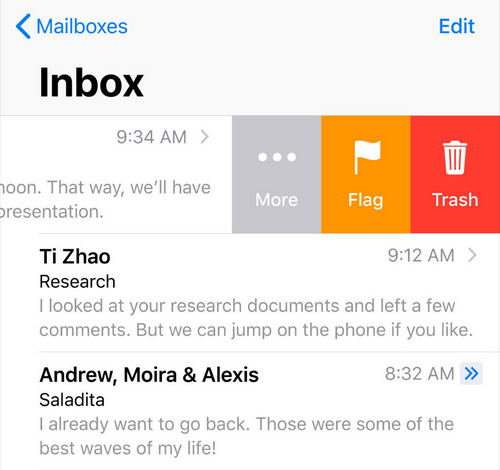 Swipe left over an email and tap the trash button. Go to the Trash folder. Tap Edit, and then click Delete All. To find information about your iCloud backups, go to Settings> Apple ID> iCloud> Manage Storage> Backup. Delete all your old iCloud backups – i.e. backups of the devices that you no longer have. To do this, Select the backup> Delete Backup> Disable & Delete. This way you can free up tons of iCloud storage. If you have iCloud backup enabled, every app you install will automatically be backed up. To change this, go to Settings> Apple ID> iCloud> Manage Storage> Backups and tap the icon of your device. 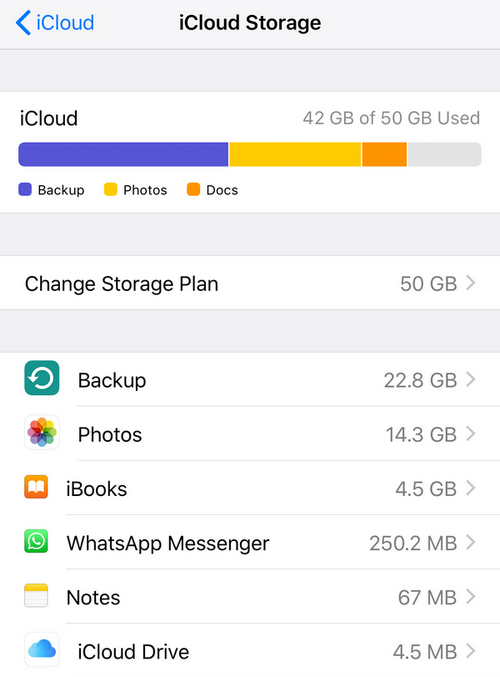 Here you can see which apps are included in your iCloud backup and how much space they take. Please note that if you restore this iCloud backup, the app data of the apps you excluded from the backup will no longer be there. Alternatively, you can create local iPhone backups on the PC with CopyTrans Shelbee. 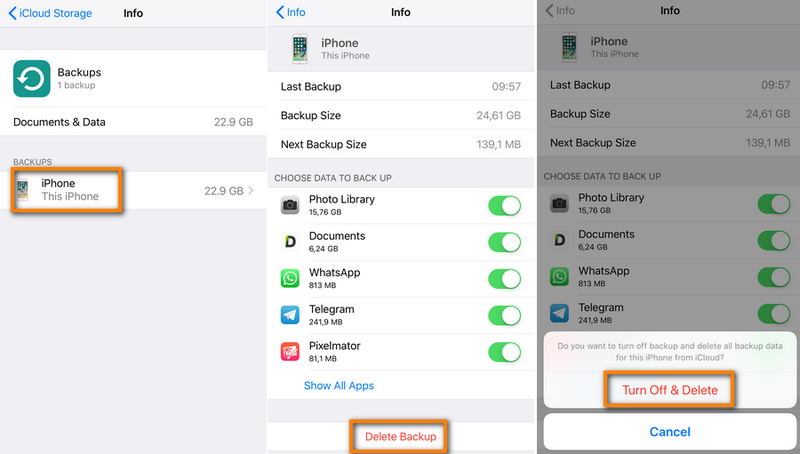 Your contacts, calendars, notes, SMS messages and iMessages, photos and videos, and settings and app documents will be included in the backup. You can also choose to back up to your PC to an external hard drive. Nearly everyone has long WhatsApp chat histories which often include photos, videos and GIFs. With iCloud backup enabled for WhatsApp, a significant portion of your iCloud storage will be taken. 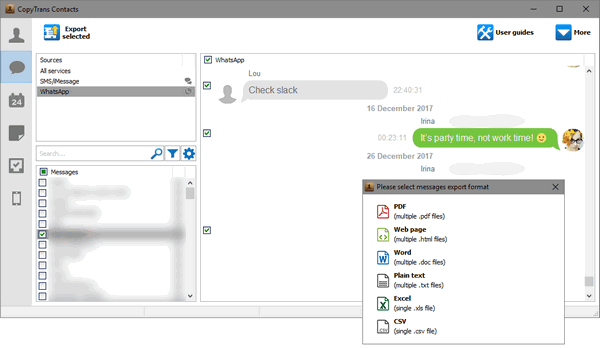 You can easily save messages and your WhatsApp chat history on PC with CopyTrans Contacts. 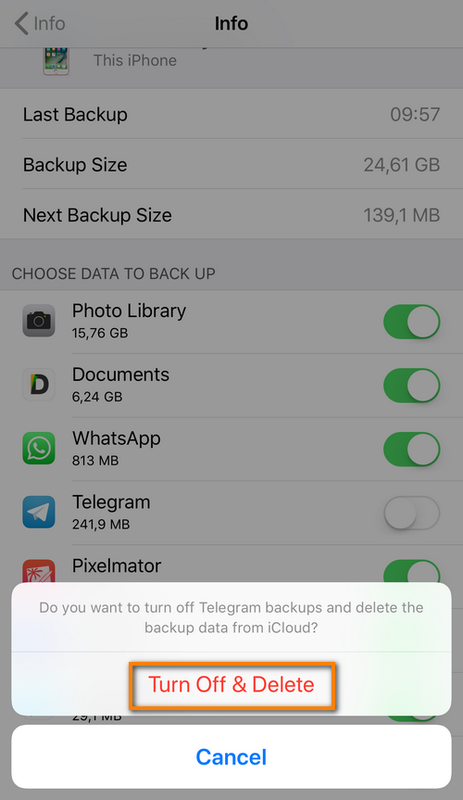 Then, you can exclude WhatsApp from your iCloud backup with peace of mind. Among other things, the program allows you to save pictures and attachments in a separate folder on your PC. 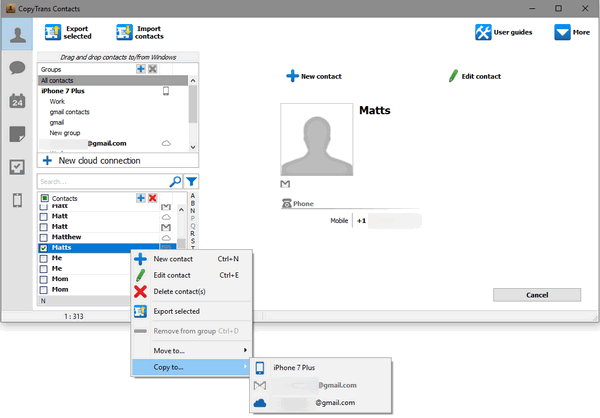 In addition, you can also save chats for a certain period of time. Apple also stores calendars, contacts, and reminders on iCloud servers. These take so little space that Apple does not even show how much space they take. However, if you do not want to trust your personal information such as contacts and notes to the iCloud, you can use CopyTrans Contacts to manage them offline or to make a backup on your PC. With the tips above, you can easily get by with the free 5GB of iCloud storage. If we stop storing our photos, videos, and backups in iCloud and back up our data locally, we can use iCloud more efficiently and stop worrying about filling up our free iCloud storage.